Reach the top of a number of 3000m peaks in the French Alps without the use of technical equipment! To reduce the amount of ascent and descent some nights in will be spent in mountain refuges. An excellent way of acclimatising for bigger things! This mountain walking holiday is for people who want some more challenging walking without the need for crampons, ice axes and the paraphanilia of full-blown mountaineering. Discover the Vanoise National Park and the frontier peaks with Italy. 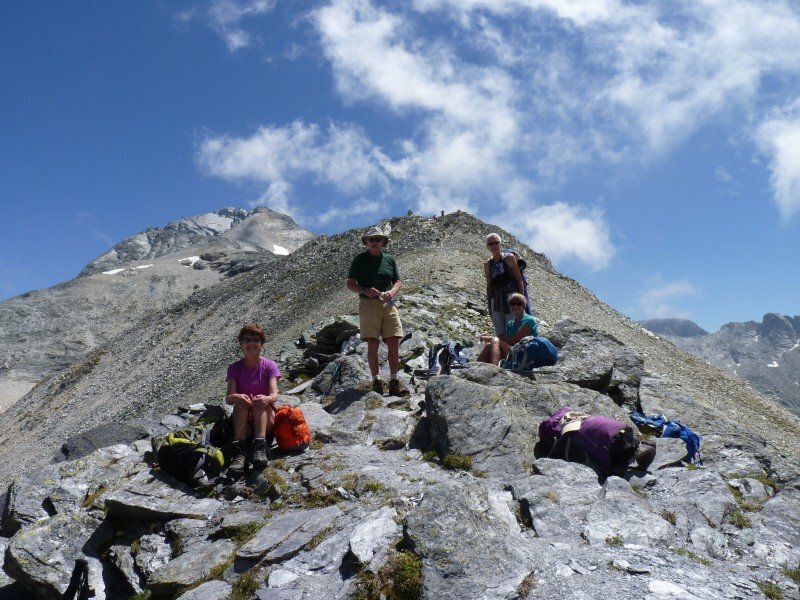 You will be led by Mark, a qualified and highly experienced Accompagnateur en Montagne. Saturday – Arrival at Geneva / Albertville and transfer to your first night’s accommodation. Sunday – The Becca Motta – this peak overlooks the valley of Champagny-le-Haut and is itself over-looked by the Grand Bec. Monday – Pointe de l’Observatoire (3016m), Vanoise – a summit accessible to the walker from the Col d’Aussois. Wednesday – Pointe des Fonds (3024m), Vanoise. Thursday – a gentler day taking in a worthy but less elevated summit. Please note: the final choice of peaks and routes will be chosen to take into account the current conditions including: late snowfields, the weather, the ability and fitness of the group. Min / Max Group size: 2 – 8 (Private group departures, at your convenience please contact me). Group transfer from Geneva airport and / or Albertville Railway Station.